Brief: To consult, choreograph & coordinate the launch of the Box Fresh Smart Car by providing entertainment and activities at the annual Smart Car Festival. 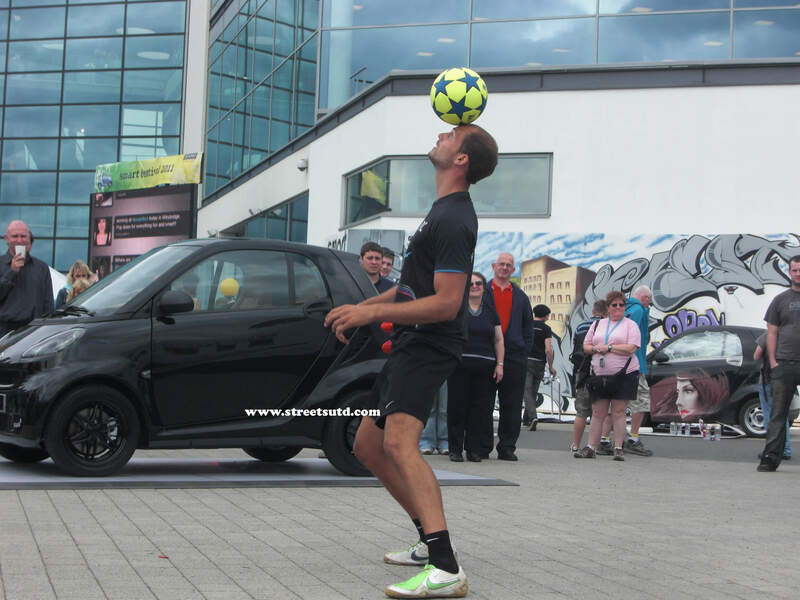 Action: With one of Europe most highly rated street sports choreographers, Streets United created a show consisting of a beatboxer, free runners, break-dancers, a power riser, basketball & football freestylers in just 2 days to launch the Box Fresh Smart Car. Streets United also coordinated the design of a graffiti wall on which people attending the festival could come and participate. Street sports workshops were also available for people to try out in the dedicated Urban Zone. Result: The reveal of the new Box Fresh Smart car was successfully achieved and watched live by 5,000 people. Many people attending the festival tried out a new activity and over 1,000 people contributed to the graffiti wall.